Fantastic! Imaginary Story is a RedBubble shop that sells stylishly simple clothing, prints, cards, and stickers. 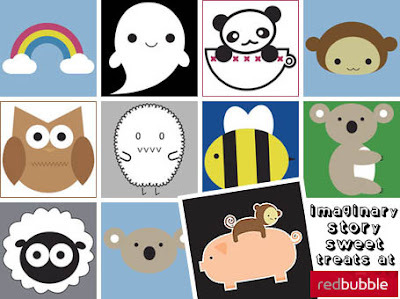 Among the adorable designs available are pandas, owls, squirrels, koala bears, and pigs. And that’s just the start! So if you’re looking to pick up a cute t-shirt or gift, why not give this sensational shop a go. You simply can’t go wrong!